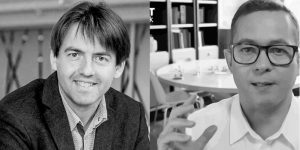 Who we are and what is this community website? 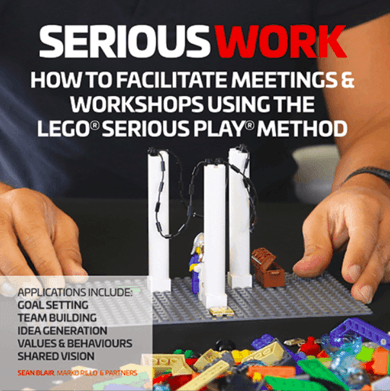 SeriousPlayPro.com has been created by a group of activists who love using LEGO SERIOUS PLAY methodology and other creative tools in their training and facilitation practice. Check our team page for details about who we are. information about completed LEGO SERIOUS PLAY training or interests toward attending future training sessions. If you upload any images, videos or voice recordings to the website, you should avoid uploading them with embedded location data (EXIF GPS) included. Visitors to the website can download and extract any location data from images on the website, which would allow them to trace those back to your location. To occasionally send emails about the community news which we think you may find interesting using the email address which you have provided (e.g. newsletters and promotional information about training events, information about facilitation business opportunities, discussion forum posts, case studies etc). We are not using https protocol in this server. For this reason, we suggest not to use public unsecured networks to log in to this community website because your communication may be intercepted and your password stolen. We are committed to ensuring that your information is secure. All user passwords are stored in an encrypted manner. Nobody of our team members have got access to user passwords nor user data. In order to prevent unauthorised access or disclosure we have put in place suitable physical and electronic safeguards to secure the information we collect online. We are using Google Analytics services to collect anonymous analytics data about users movement on our website. We use traffic log cookies to identify which pages are being used. This helps us analyse data about webpage traffic and improve our website. We only use this information for statistical analysis purposes and it is not linked to individual users. Overall, cookies help us provide you with a better website, by enabling us to monitor which pages you find useful and which you do not. A cookie in no way gives us access to your computer or any information about you, other than the data you choose to share with us.You can choose to accept or decline cookies. Most web browsers automatically accept cookies, but you can usually modify your browser setting to decline cookies if you prefer. This may prevent you from taking full advantage of the website. whenever you are asked to fill in a form on the website, look for the box that allows you to opt in or out of any e-mail updates you receive. if you have previously agreed to us using your personal information, you may change your mind at any time by writing to us or unsubscribing yourself from the mailing lists. You may also delete your personal profile and all the data by selecting your user profile -> settings -> delete account. If you have any further questions that have not been covered in this document then please get in touch with us.